Another Texan asked him how he could go back on his pledge, made during a Fox News debate last summer in the very arena where he delivered his speech last night, to support whomever wins the GOP nomination. Cruz said Trump “abrogated” the pledge with “personal” attacks on his wife’s looks and by suggesting that his dad was somehow involved in the assassination of John F. Kennedy. “I’m not in the habit of supporting people who attack my wife and attack my father,” he said, “and that pledge was not a blanket commit that if you go and slander and attack Heidi that I’m going to come like a servile puppy dog and say, 'Thank you very much for maligning my wife and maligning my father.'" -- Cruz, who fancies himself a political tactician, is playing the long game. He wants to run for president in 2020, and he thinks holding out strengthens his brand as a conservative purist. He might even try to primary a President Trump from the right. -- Then Cruz tried to go see Sheldon and Miriam Adelson. When he arrived, he was refused entry. “It was a pointed rebuff of a politician who has methodically cultivated the support of the Las Vegas Sands chairman and his wife for years, and who was once considered a strong contender to get their backing in 2016,” Matea Gold reports, noting that the Adelsons spent more than $92 million supporting Republicans in 2012. -- Cruz might have more credibility had he not hugged Trump so tightly for so much of the past year. He made a strategic blunder last summer when he refused to criticize anything Trump said or did and repeatedly called him “terrific.” He hoped to win over Trump’s supporters when he, as most everyone assumed back then, faded. And his team thought Trump was a nice heat shield that would limit media scrutiny of their candidate. The non-aggression pact fell apart when it was clear that they needed each other’s votes. And Trump obviously gave Cruz legitimate reasons to resent him. -- Cruz’s speech was also a slap in Mike Pence’s face, though. 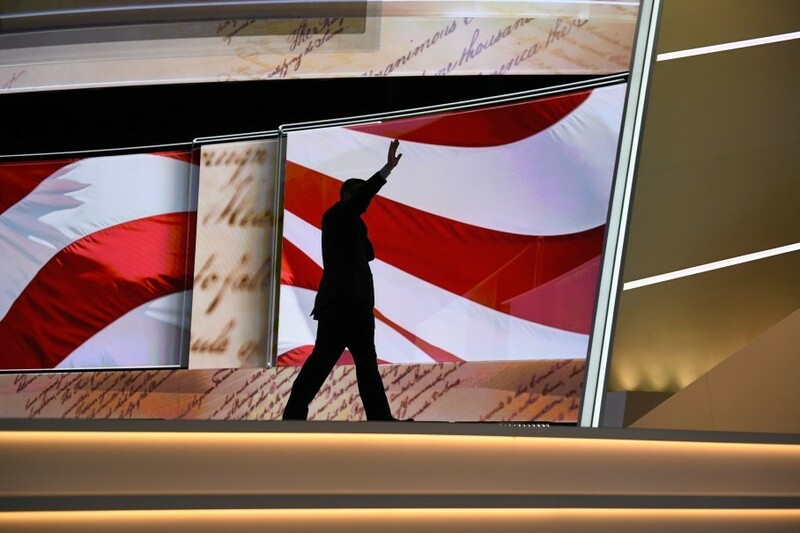 Many Americans were seeing him for the first time, and his speech was totally overshadowed. The V.P. nominee even endorsed Cruz ahead of Indiana’s primary. He clearly was not the intended target, but it’s also a fact of life that, if Trump loses this year, Pence will probably try to run in 2020 – which could pit the two against each other. Trump campaign expected Cruz to talk for 10 minutes. Cruz' prepared remarks went 9 minutes. He spoke for 23 minutes. -- If Trump narrowly loses – and polls show the race within single digits – Cruz will now receive some share of the blame for Clinton’s presidency and whatever comes of it. -- What Cruz does not understand: He needs to win over core Trump supporters to build a coalition that can win the nomination. He just, perhaps irreparably, alienated them. -- And many of Cruz’s core supporters are angry with him too. The president of the pro-life Susan B. Anthony List called the non-endorsement selfish. "Why is he the only one who gets to be pure?" she asked Dave Weigel. "You don't come to a Republican convention, where the whole point is to galvanize support for the nominee, and not endorse." -- Moreover, it will make it harder for Cruz’s preexisting Republican critics to ever come around. Many members of Congress, who feel so badly burned by the federal government shutdown he forced in 2013, would have capitulated and endorsed Cruz had he been the nominee in Cleveland. So it drives them nuts that he’s being so petulant. "Sen. Cruz tried to destroy the Republican Party tonight, just like he's tried to destroy the Republican caucus," Indiana Sen. Dan Coats told Roll Call. "I've had to deal with the most self-centered person I've ever known in my life." 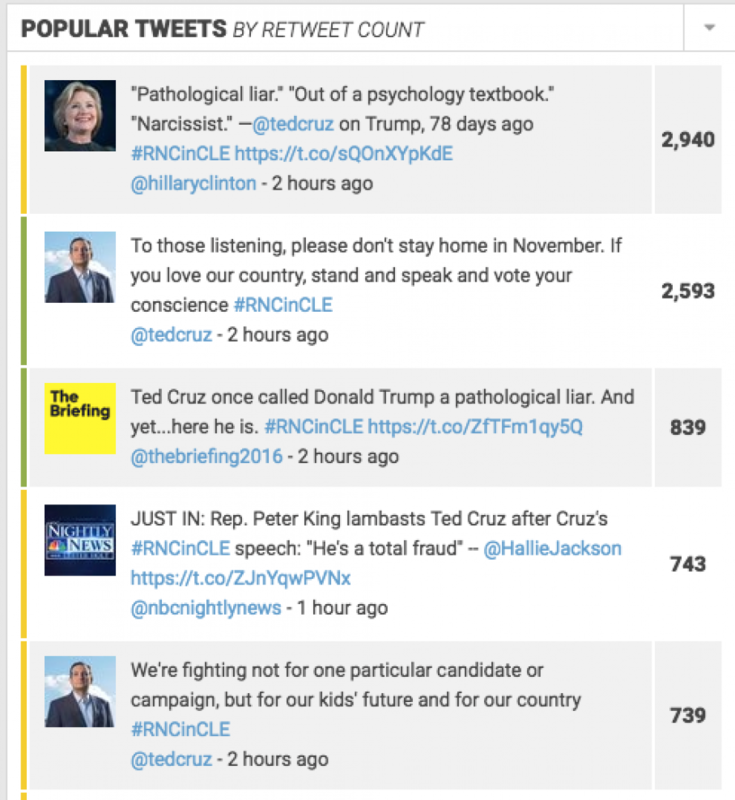 -- Not just Cruz looks bad: Convention organizers committed political malpractice by giving him such a prime speaking slot with no commitment to endorse Trump. 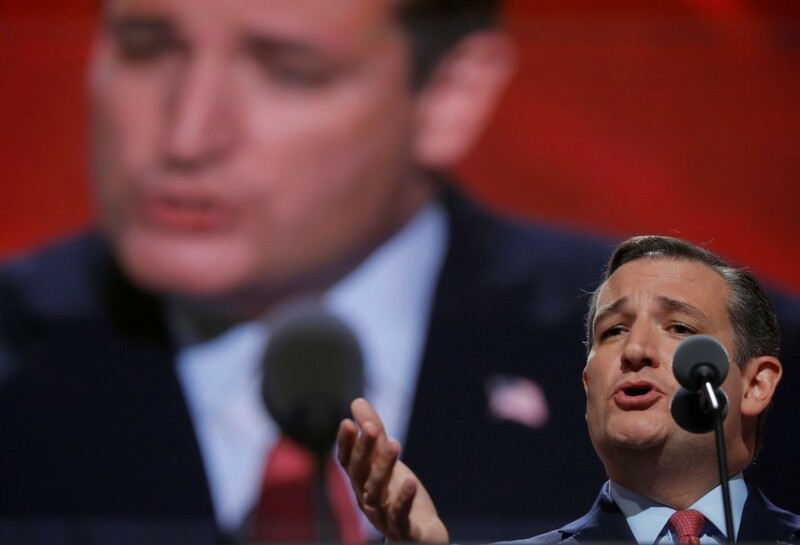 -- In the context of the next three months, Cruz’s speech showed the hollowness of GOP unity. The storyline coming out of Cleveland will be that Republicans are divided – exactly the opposite of what Trump’s campaign wanted and needed. -- “Duck Dynasty” star Phil Robertson, who recorded one of Cruz’s best TV ads of the cycle and campaigned with him in Iowa, said the senator needs to “swallow your pride.” “I was behind Cruz," Robertson told Philip Rucker in an interview this morning. "He lost, I lost. Now he’s out. Once you do that, you need to swallow your pride. The people said, 'This is the one we want. We don’t want Cruz. We want this one.' You need to get behind him. … Just because Donald Trump is not as conservative as I am doesn’t mean I can’t work with him, for crying out loud.” Rucker asked whether Cruz's turn on the convention stage would keep him from supporting him in 2020. "You never know,” he replied. -- “Is it possible to stand up to Trump, make clear what a false prophet he is and somehow come across as an even less endurable narcissist? Cruz managed it,” Frank Bruni writes in the Times. -- The speech was clearly inspired by Ronald Reagan’s address at the 1976 Republican convention in Kansas City. But Cruz sounded much less like Reagan than Nelson Rockefeller at the Cow Palace in 1964, the Boston Globe’s James Pindell astutely points out. The then-governor of New York took the stage in San Francisco and refused to endorse Barry Goldwater. “Rockefeller rose to insert an amendment in the party platform against fringe elements in the party, like the John Birch Society. He could barely even speak as the floor roared against him. He wanted to offer his vision for what it meant to be a Republican, even if this differed with the party’ nominee.” Ironically, Ford would appoint Rocky vice president but dump him in 1976 (for Bob Dole) because of the Reagan primary challenge. Listening to Ted here in Cleveland, I'm reminded why I traveled the country campaigning for him. Ted has never been afraid to enter a hostile environment and speak his mind. He was like that even as an undergrad. He can't be intimidated. -- HAPPENING THIS AFTERNOON: Today we are launching a series of live Daily 202 briefings. At 4 p.m., I'll moderate a discussion with Hugh Hewitt, Sarah Huckabee and Grover Norquist about the road from the convention to November for Trump and the GOP. Join me at "Butcher and the Brewer" on East 4th Street in Cleveland. RSVP here. 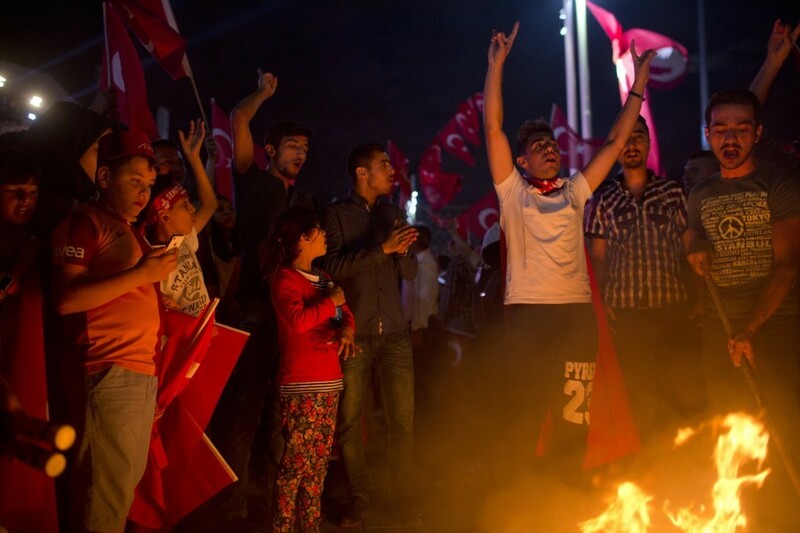 -- Turkey declared a three-month state of emergency, allowing President Recep Erdogan’s government to act faster against last week’s coup plotters. From Loveday Morris and Hugh Naylor: “In a late-night televised address, Erdogan … sought to reassure the country that the measure will protect democratic freedoms. But the move consolidates more power in the president’s hands, allowing him to rule by decree. For the state of emergency to be implemented, the decision must first be approved by Parliament." -- Trump also said in the interview that he would not automatically back NATO allies if they come under attack by Russia, despite the U.S. obligation to do so under the charter. This is exactly the kind of flip statement that could embolden Vladimir Putin to invade a country like Estonia, whose very survival as a free nation depends on the American security guarantee. -- Ironically, about the time that the NYT interview posted, Pence made this declaration in his acceptance speech: "We cannot have four more years of ... abandoning our friends. ... Donald Trump will ... stand with our allies." Really? -- Russian track and field athletes will NOT be permitted to appear in this year’s Olympic Games: The Court of Arbitration of Sports denied the country’s appeal to participate in the Rio games, following investigations into the country's doping of its athletes and reports of a state-sponsored cover-up. The decision could lead to the banishment of the country’s ENTIRE delegation to the summer Olympics. (Matt Bonnesteel). 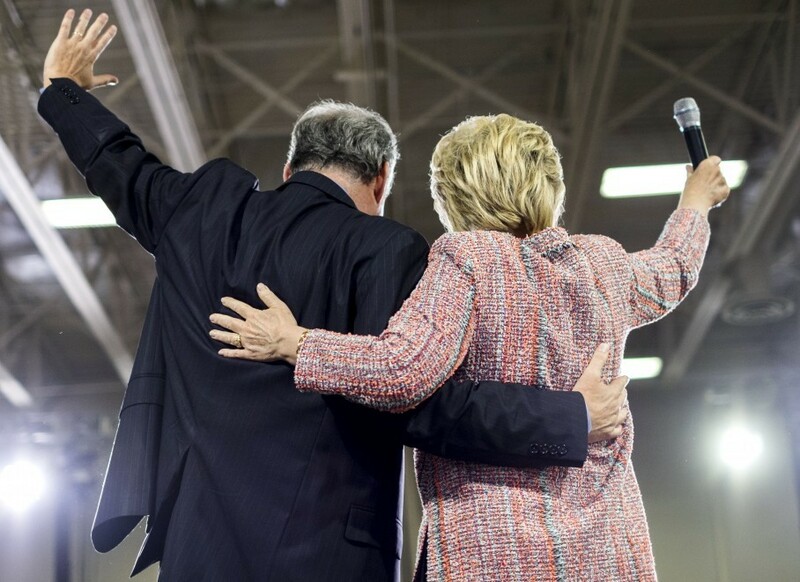 -- While Tim Kaine and Tom Vilsack remain two of the leading contenders for Hillary Clinton’s vice presidential pick, but a Democrat with knowledge of the process says Sen. Cory Booker of New Jersey is also under active consideration for her ticket. 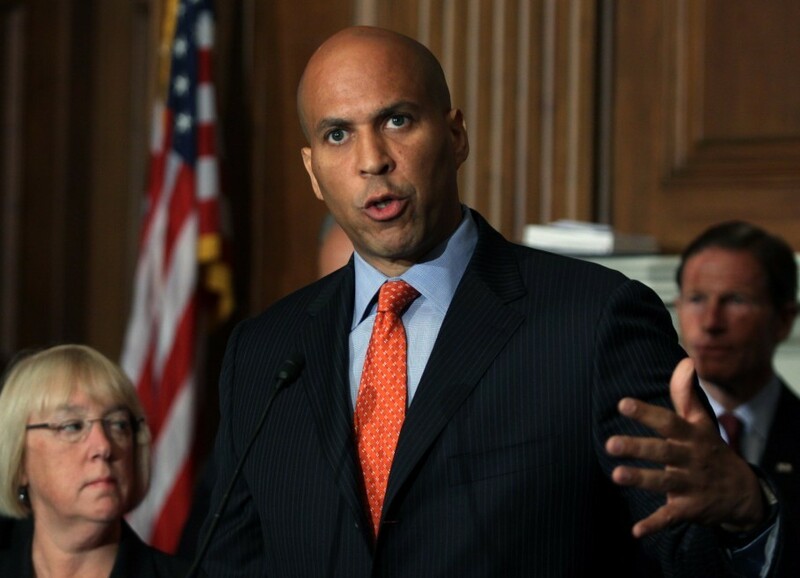 "Booker, a freshman senator and former mayor of Newark, has drawn relatively little attention throughout Clinton’s vice presidential selection process, but has remained as a serious prospect," John Wagner and Anne Gearan report. "He was among the roughly half-dozen potential running mates who met with Clinton at her home in Washington on Friday. He has been dispatched to Cleveland to participate late Thursday morning in a news conference." 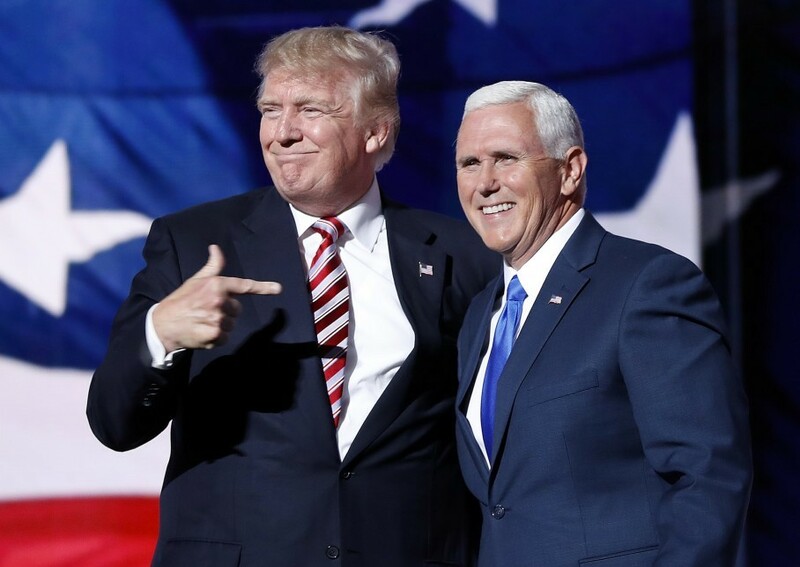 -- Mike Pence largely eschewed the attack dog role that a vice president typically plays at the convention, focusing instead on making an affirmative case for Trump to conservatives and independents. “I’ll grant you, he can be a little rough with politicians on a stage, and I’ll bet we see that again. But I’ve seen this good man up close, his utter lack of pretense (! ), his respect for the people who work for him and his devotion to his family,” the governor said. 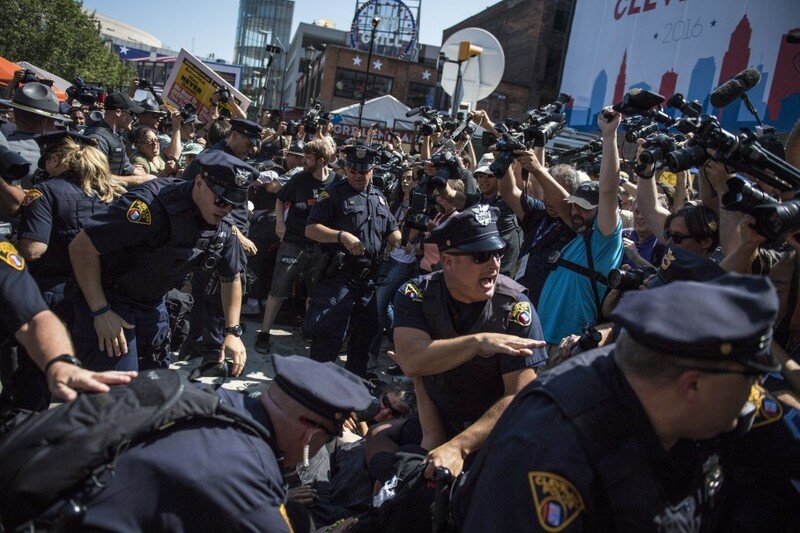 -- Two police officers suffered minor injuries and 17 protestors were arrested after activists set fire to the American flag outside the Quicken Loans Arena. Two of the suspects were charged with felonious assault of a police officer. The other 15 face misdemeanors. -- Meredith McIver, a longtime Trump Organization speechwriter, took responsibility for the cribbed portions of Melania’s convention speech. But she was not fired. “Yesterday, I offered my resignation to Mr. Trump and the Trump family, but they rejected it,” she said in a Wednesday statement. She's been a registered Democrat since 1996. -- This is not the first time the Trumps have thrown McIver under the bus: "In 2007, when Donald Trump was testifying in a deposition related to a civil suit, he blamed McIver twice for factual errors inserted into two of his books," Dave Fahrenthold reports. -- Today is the FINAL DAY of the Republican convention. The theme is "Make America First Again." After three days of tumult and controversy, Trump's challenge on his final evening has taken on more importance than ever, Dan Balz writes. "He needs to energize his base. He needs to unify his party. He needs to make himself a more appealing candidate to the wider electorate. He needs to soften his image. He needs to make the case against Clinton, but more he needs to make a positive case for himself. He needs to show he has a grasp of issues and answers to problems that add heft and credibility to the slogans that have been the hallmark of his campaign. Mostly he needs to find a way to combine the most effective theme of his candidacy — that of an outsider who connects with disgruntled and disaffected voters and will shake up Washington — with something that reassures people of his temperament, stability and reliability. He can still redeem the week, but the opening days haven’t done much to help him." 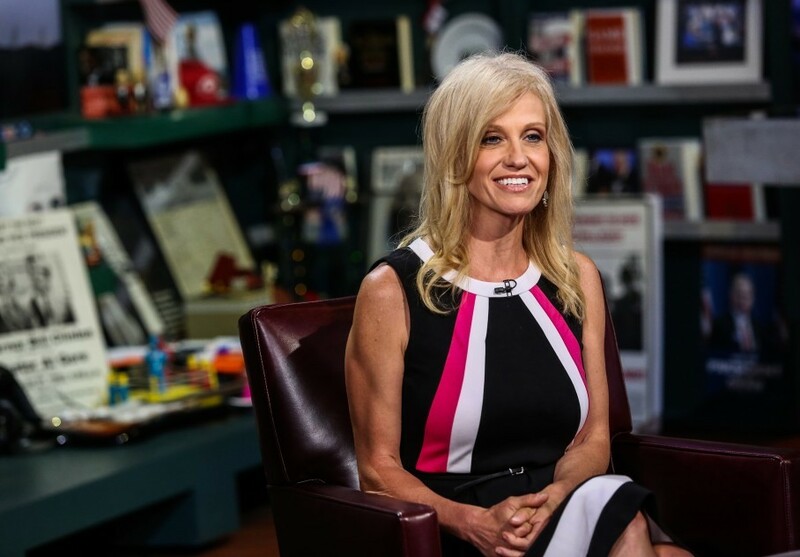 -- “Meet the woman trying to fix Trump’s image with women,” by Danielle Paquette: “Since Kellyanne Conway joined the Trump campaign three weeks ago, she has appeared on television an average of three times daily, projecting titanic optimism. … Behind the scenes, however, the woman hired to fix Trump’s image with women adjusts her message, nudging the nominee to stop insulting his critics’ looks and display more compassion. She conducts aggressive polling. She stays on the topics conservative women say they most care about, highlighting Trump’s resolve to lift middle-class workers and tighten the border. … Acting tough comes naturally to Trump. Compassion ... well, she says, he has it. They’re working on showing it off. She withholds the details. She often hears the same feedback from female voters about Trump, regardless of their background. ‘They say, ‘I don’t always like what he says, or how he says it,' Conway said. 'But I think he would change Washington. I think he would create jobs and balance budgets.' She grins. ‘I can work with the ‘but.'" -- “Unprompted, White House press secretary Josh Earnest on Wednesday mentioned Sen. Timothy M. Kaine as someone [the president] would recommend to Clinton," Anne Gearan and Juliet Eilperin report. "Earnest confirmed that Obama has weighed in on Clinton's vetting process, but the spokesman did not say exactly what advice the president gave.” He tossed out Kaine's name as someone qualified, also nothing that Obama frequently calls his selection of Joe Biden the “best decision that he has ever made." “Earnest made a point of saying that Obama considered Kaine ‘one of his own,’ even though he hadn’t served in the Cabinet. The senator was ‘one of the first public officials’ to endorse Obama during his first White House bid, the spokesman added, was vetted as a potential running mate in 2008 and chaired the Democratic National Committee right after Obama took office." C'mon, guys, Meredith McIver is a real person. She's married to Trump's media spokesman John Miller. 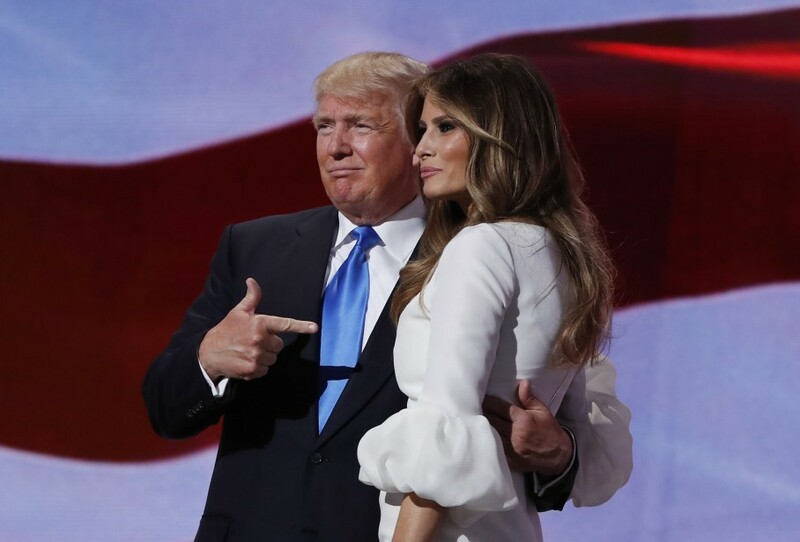 -- “The Trump Dynasty Takes Over the GOP,” by National Review Editor Rich Lowry: “Watching the GOP convention, you could be forgiven for believing that the brightest stars in the Republican firmament are all Trumps. The Trump phenomenon began, in part, as a revolt against a dynasty (the Bushes) and here we are celebrating a cult of personality with the family in the starring role (and one of the patriarch’s sons, Donald Jr., already marked out for a future political career). 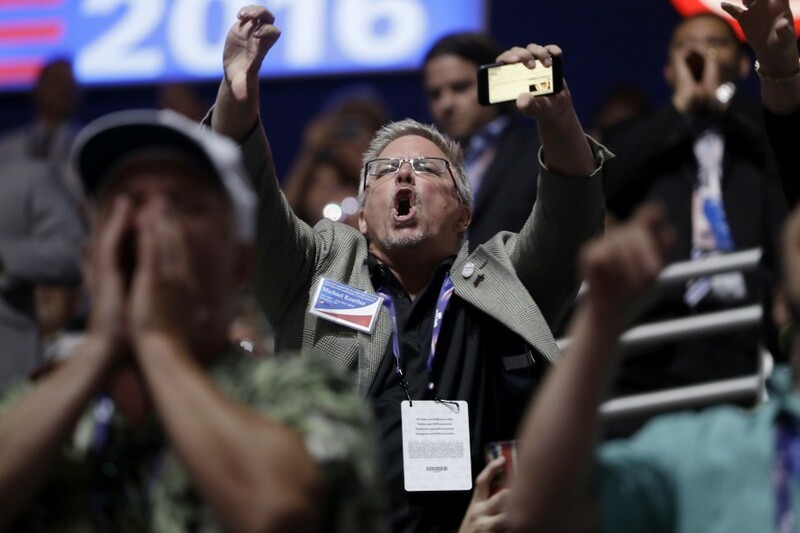 All that said, the convention will almost certainly help Trump. If nothing else, the fanfare of officially bestowing the party’s nomination on him will further legitimize his candidacy for voters." 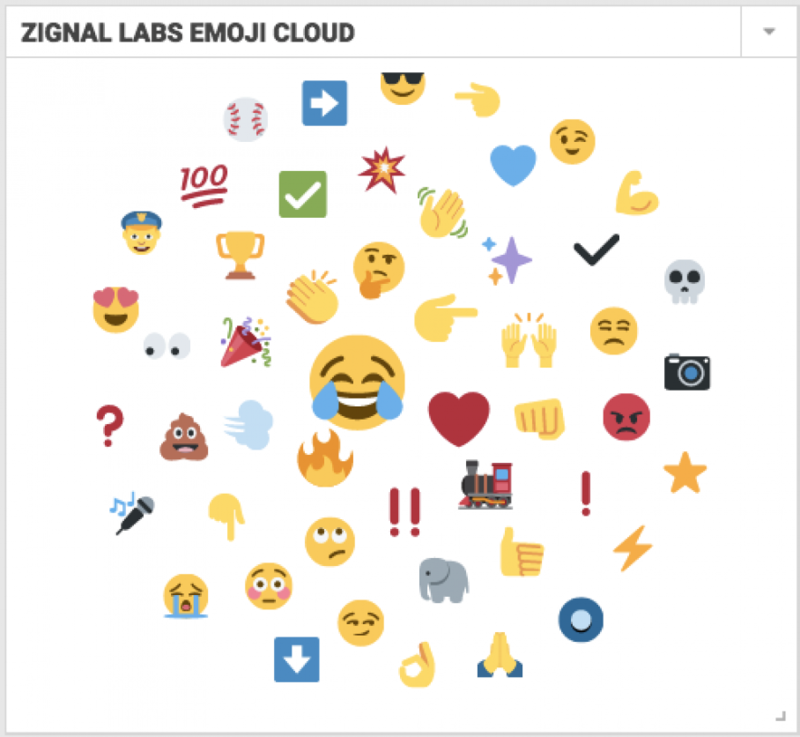 -- “The movement isn’t dead. In fact, it just became even more vital,” by NRO’s David French (who considered an independent presidential bid): “Every four years, Americans are tempted toward myopia. Each election is the ‘most important election’ in our lifetimes … There is no doubt that its members failed in one of their aims — denying Trump the GOP nomination — but Never Trump was only partially about this election. The conservative movement is invested in the long game — our own 'long march' through American cultural institutions. It is not worth throwing away years of influence for the sake of four months of intraparty peace. When Trump crashes and burns — and he will, either on the trail or in the Oval Office — Americans won’t look to his partisans and defenders to rebuild from the wreckage. They’ll seek other voices. For the sake of the nation, it’s vital that those other voices are both conservative and untainted by alliance or association with the newly minted Republican nominee." “Backlash, apology after candidate calls judge '800-lb Silverback Alpha Male,'” from Michigan Live: “A judicial candidate felt a public backlash last week after spreading around an email criticizing a sitting judge in less-than-flattering terms. Muskegon lawyer Eric C. Grimm is one of five candidates running for a judicial position in Muskegon County's probate court. On July 10, he sent out an email to dozens of friends and colleagues asking for votes, and criticizing Muskegon County Probate Court Judge Gregory C. Pittman as a bully. ‘I can understand why some of the other candidates may not want to speak up about the 800-lb Silverback Alpha Male in the middle of the Probate Court,’ Grimm wrote. Grimm has since apologized." One of the top headlines on The Drudge Report this morning is a story about ex-Post Journalist Carl Bernstein, who says none other than Drudge has helped coronate Trump. From Real Clear Politics: "One of the interesting things we've seen in this campaign is FOX has driven Trump's candidacy less than Matt Drudge," the journalist said on CNN. "Drudge is really great new factor in this election in terms of media. Drudge, that site has been unapologetically in Trump's pocket from the beginning. And I would say a large measure of why Donald Trump is the nominee goes to Matt Drudge." -- The Nationals beat the Dodgers 8-1. Bloomberg asked if convention delegates could name Trump's children. Watch here.